Ever wondered what the story of Squeeze‘s classic ‘Up the Junction’ might look like from her point of view? London’s I, Doris are here to tell you. The band are releasing, this Friday 8 March 2019 (fittingly, International Women’s Day) their debut single, ‘The Girl From Clapham’ – a loving, fuzzed-up tribute to the original song, with a poignant reminder that women’s experiences are all too often erased from history. The new song lyrics were written by punk poet Janine Booth, and published in her brilliant anthology ‘Disaffected Middle Aged Women‘. Squeeze’s Chris Difford has given the new lyrics – and the I, Doris version of the song – his personal seal of approval. All profits from the sale of the track on Bandcamp are being donated to domestic violence charity Women’s Aid. I, Doris are a self-proclaimed “kitchenpunk mummycore” band, consisting four 40-something women, dressed in dinnerlady-esque tabards, and answering to the name of Doris (that’s Doris on guitar, Doris on bass, Doris on drums, and Doris on – wait for it – keytar). Audience members are sworn in to the Doris collective with a group pledge at the start of each gig. Their live set is 60s girl-group style pop with lashings of fuzzy punk and plenty of good-humoured swipes at the patriarchy. At least, we think they’re good-humoured. Bassist Doris (AKA Cassie Fox, previously of Guttfull and Thee Faction, and founder of the Loud Women festival) takes the lead vocals on ‘The Girl From Clapham’. 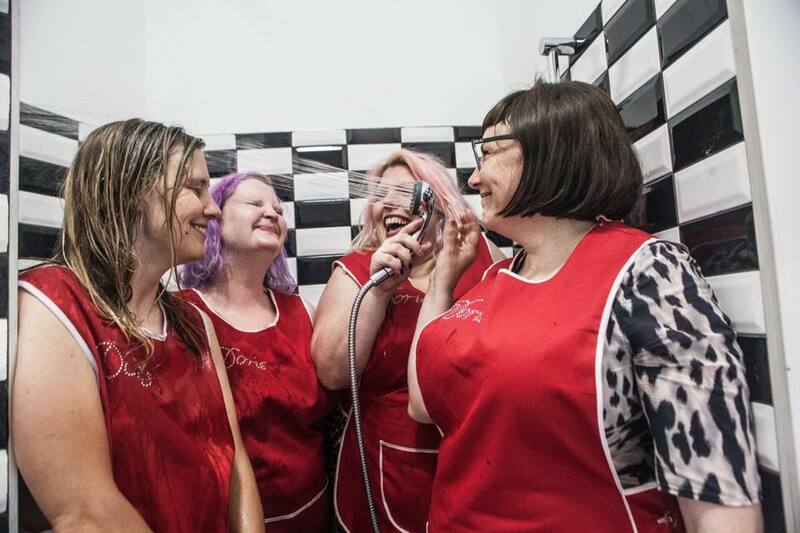 I, Doris are currently blazing a gloriously happy trail through the DIY gigs circuit, and beyond – they’ve played with Mekons in Leeds, the launch of Loud Women NYC in Brooklyn, they’re playing the Royal Albert Hall on 17 March, and Rebellion Festival on 2 August. Keep an eye on the I, Doris Facebook page for news of their continued adventures. 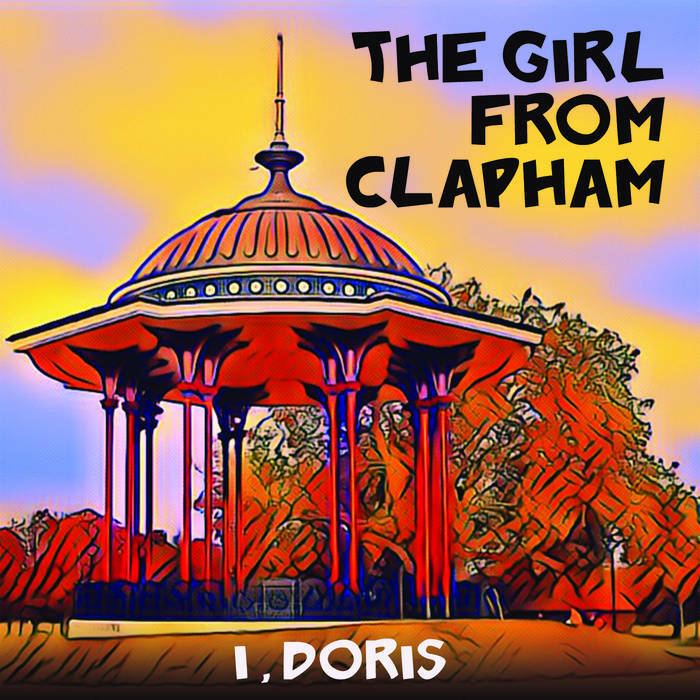 ‘The Girl From Clapham’ by I, Doris is out 8 March 2019, available to download from Bandcamp for £1 or more, which will be donated to Women’s Aid. This entry was posted in Clapham Junction, Events, Music and tagged Doris, I, Janine Booth, Up the Junction by Blogger. Bookmark the permalink.